No one would dream of calling them Blues, Why after twenty days of competition much blues are no longer. They tend rather to light brown, covered with mud and sand far beyond the limits of the imagination. Though they arrived too in Dakar, Maybe with some risk in less of the officers, but a lot of, so much effort in more. Are our private, those who have had to rely almost exclusively on their strengths in order to succeed in the enterprise, leaning to the maximum the complacent friend who was promoted airborne mechanic. High Office for a scary amount of work. Ambitions of a few, However, closed again in the drawer after the first stages, Once found that no official bike is like going hunting for elephants with the Slingshot. Without being David. He also discovered Angelo Signorelli, that officer actually was but could only have a bike derived from number and not the prototype arrived from Japan. So he was concerned only about making quick assistance Franco Picco, not forgetting though to get any satisfaction in the difficult stage of Nema: second behind De Petri, with the wrath of a damper broke out. 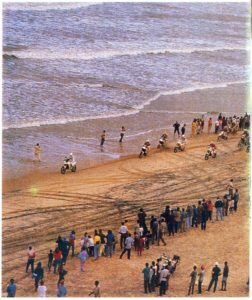 In the overall standings is 16, right in front of Max Malik, the first Wild men's Team: three of the locals started with home-built bike, with Yamaha and autarkic chassis. Mechanics had not, but their problems are over to Agadez, Since the truck on which they were loaded their auto parts has stopped. A true "blessing" which has finally stopped Montebelli, Fabio Marcaccini and Giampaolo Abbasi to stay awake until morning to replace the bike. Are sixteen brave Italians who have completed the race. Yet even so they did, and with very good results: only Gauri snatched the Herculean Montebelli — 17th — the primacy of the best private, and with much higher transport. 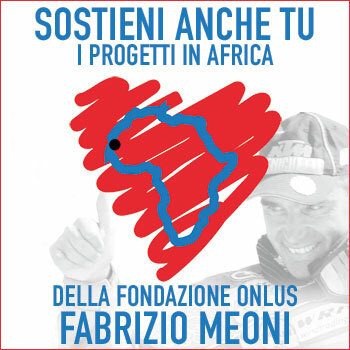 As for Marcaccini, repeating problems have stopped several times in special, but the former sprinter has gone anything but unnoticed once solved the main trouble: even in the stage of Agadez remained in command until mid day. With a Thumper is saying. He finished thirtieth, just two positions behind Abbasi which, for its part, He managed to get to Dakar to first participation: he deserved it, not least because it has managed to build the bike in the last 20 days, working around the clock with David Garcia and Luke Elements. Suffered sleep also Beat Gargate, that of Dakar had already some experience: the only "survivor" of the GR Team (After the forced arrest of Qadri for breakage of the frame) He performed in a 48 hours no stop between Nema and Kayes, jumping on foot par NAP and dinner. Persosi like everyone else in the tremendous stage to Tidjikja, In fact, arrived at its destination only to 7.30 the morning after. The departure time 8.00. How to assign three stages from the end? The poor Grassotti doesn't nor taken off the gloves, He drank coffee and is divided. A real hard, who deserved way down the Pink Lake Beach. Franco Zotti, twenty-third, distinguished for skill and tactics. Now a veteran of these marathons, friulano is party with regular step and kept till the end, minding well to save a bike that — despite some spare parts delivered by Team Rahier – was private for all purposes. It is arranged by only managing to get well in long stages and harsh as Tidjikja who massacred the bulk of competitors. The result also rewards him resigning to cover with the liquidation debts incurred last year to join the race, a practice already experienced in the past. 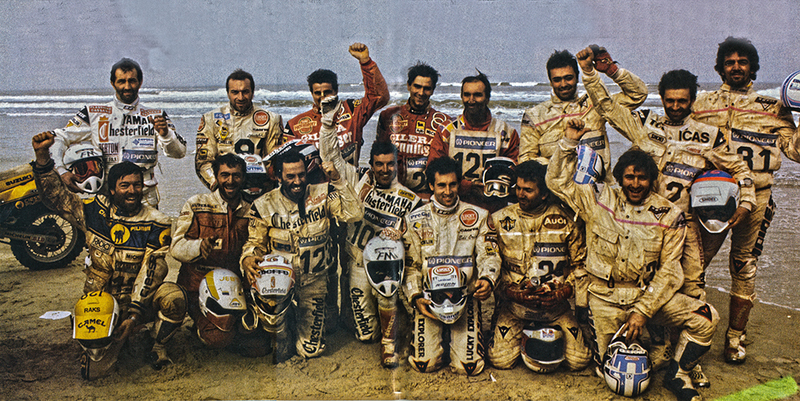 Now remain to cover the holes of the Dakar ' 90, Maybe with the sponsors of that ' 91. The most vivid image that we have of Luigi Algiers, Instead, you on arrival in Agadez: destroyed, tired and hungry, but at the finish in good location. The mechanic had not, and its parts have disappeared almost immediately, along with the truck which had paid for the carriage of a case, retired. Thus it remained also without sleeping bag and he slept in the cold for 15 days, dress; but he did it, even managing to get the occasional discreet placement. Had a great willpower, and it was really good to get to the bottom only, I just can not. Thirty-third. Antonio Cabini Instead he could rely on a mechanical, but not on auto parts they did end up like those of Algiers. So if you did how could, with much imagination and adaptability, that allowed him to get forty-first in Dakar. He did it for the second time, After six attempts, one of which in car. Close the row Ettore Petrini 42nd and Carlo Alberto Mercandelli forty-fourth. 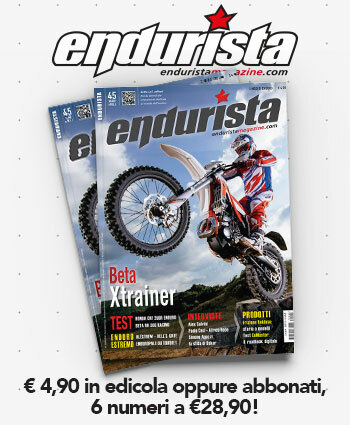 The first, Toscano, It wasn't just a rookie already used to: It is also the first experience off-road after going into speed, and he really had a lot of nerve in throwing in an enterprise like that with such a reduced experience. But with prudence and sense of proportion did it in turn, smoothly. Exactly the opposite of Mercandelli, man-this year's adventure: problems of Agadez and his daring I arrive by camel, trucks and buses have already read in previous numbers. It would have been enough for anyone, but not for him, He replied with 48 hours of non-stop with Gargate, and she then exhibited in the grand final to St. Louis, When has centered in the Middle a mule who had cut the road, in 120 km/h. Results from war report: the Mule died instantly, the bike was destroyed and Mercandelli k.o. 10 minutes, with a fracture to the right pastern. But the indomitable has yielded: He did fix from a machine of your care arrived on site and is remounted on the bike, who had been rearranged to best the mechanic of Villa-Dolphin, on truck Perlini. 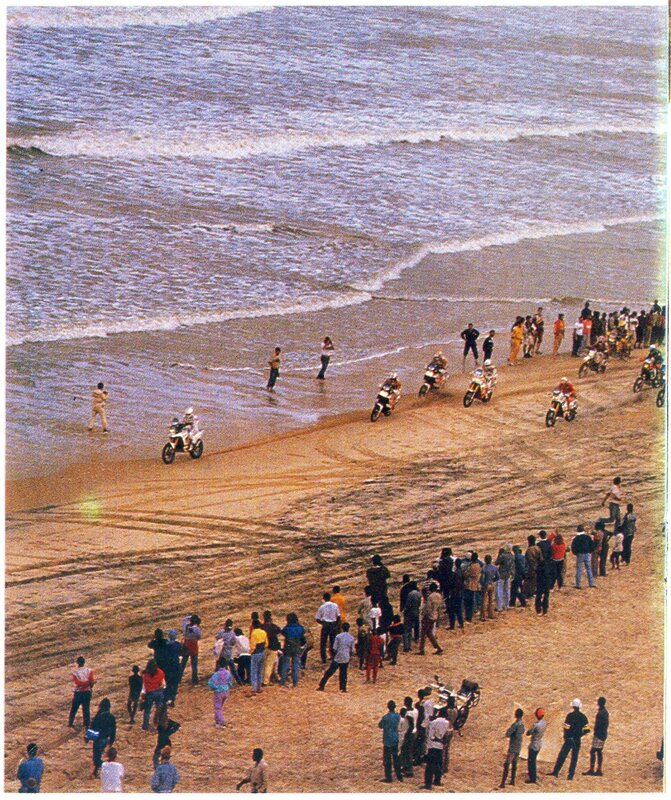 And with a bandage stiff steered until the next day, arriving in Dakar. More than deservedly.